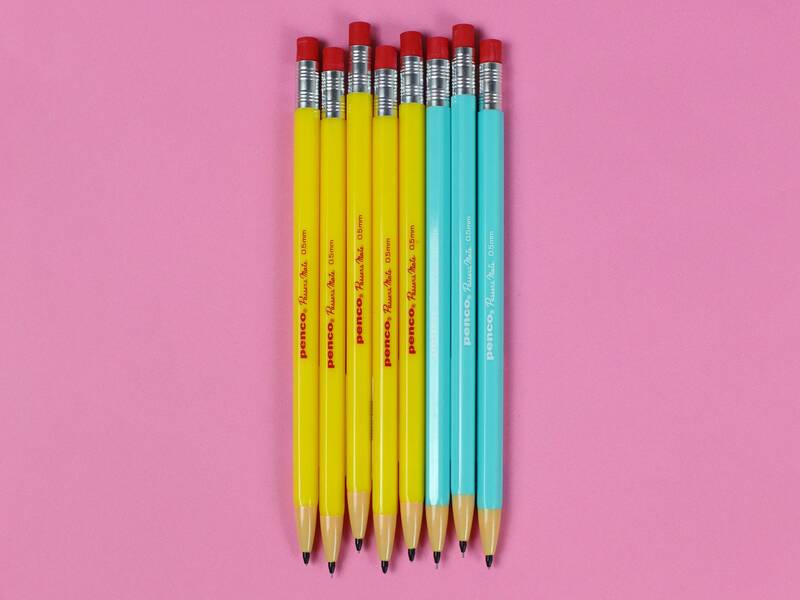 Super bright and colourful automatic pencils by cult Japanese stationers, Penco. 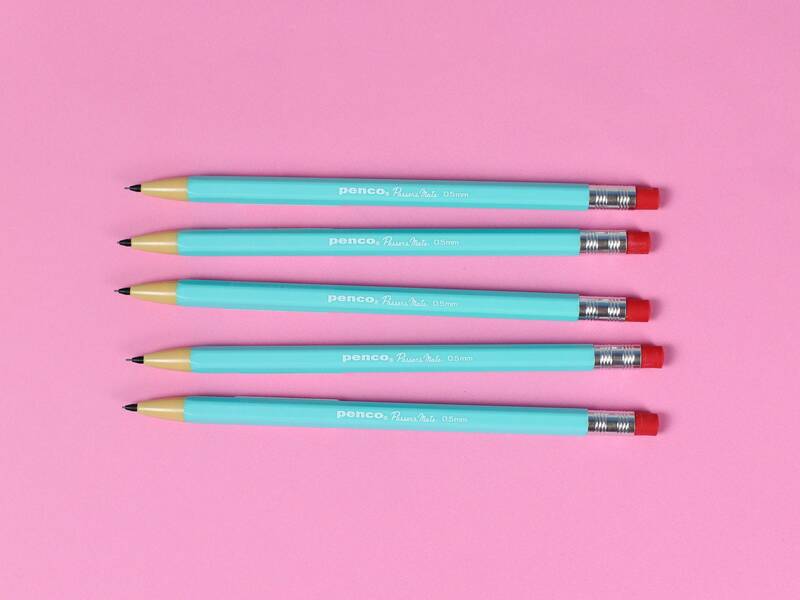 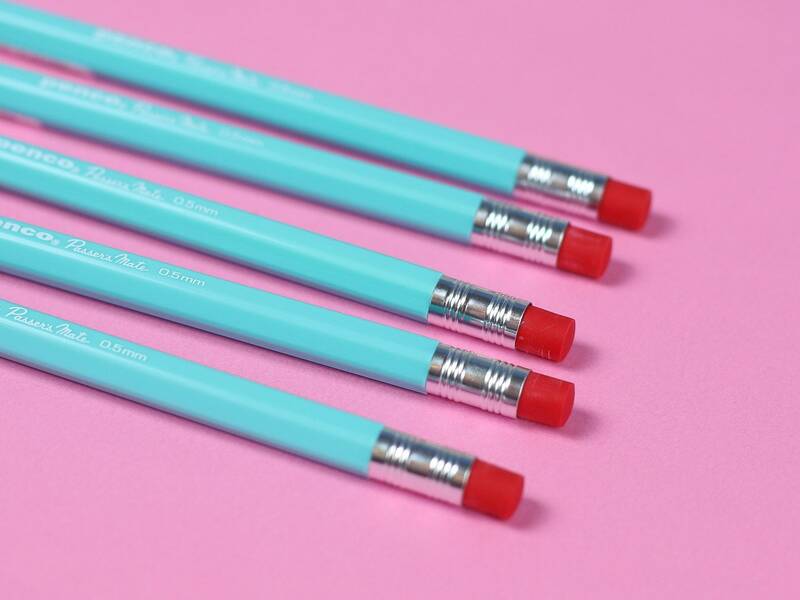 These Passers Mate pencils have all the retro charm of a traditional looking pencil- but with the convenience of modern propelling pencils. 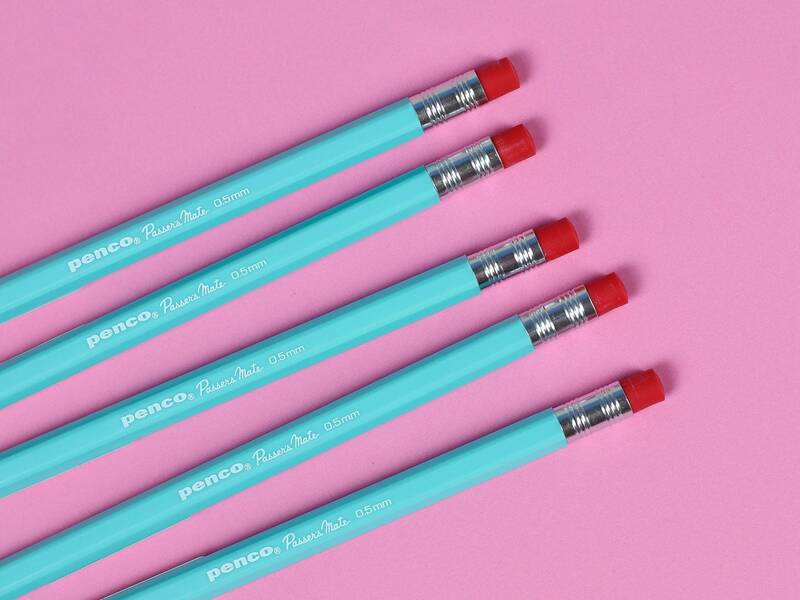 These pencils write with a smooth HB 0.5mm graphite line. 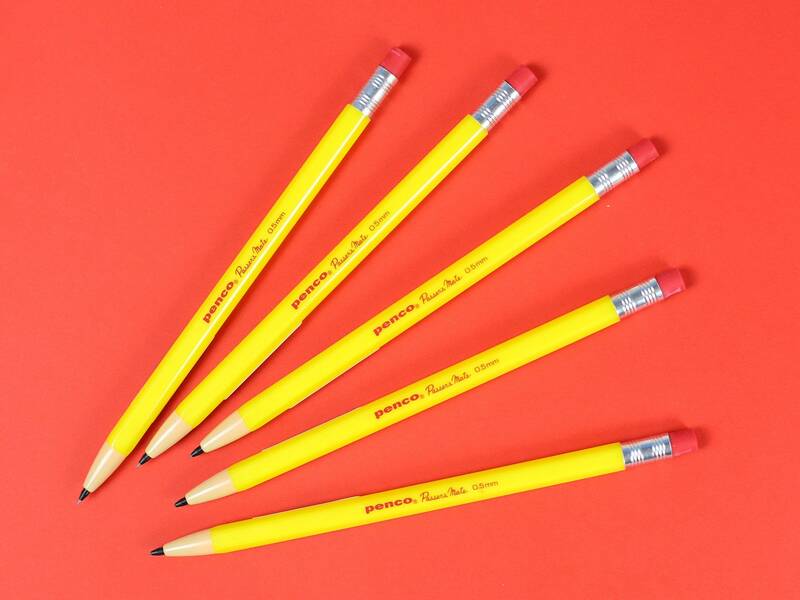 The "lead" of the pencil can be retracted when not in use to protect the point. 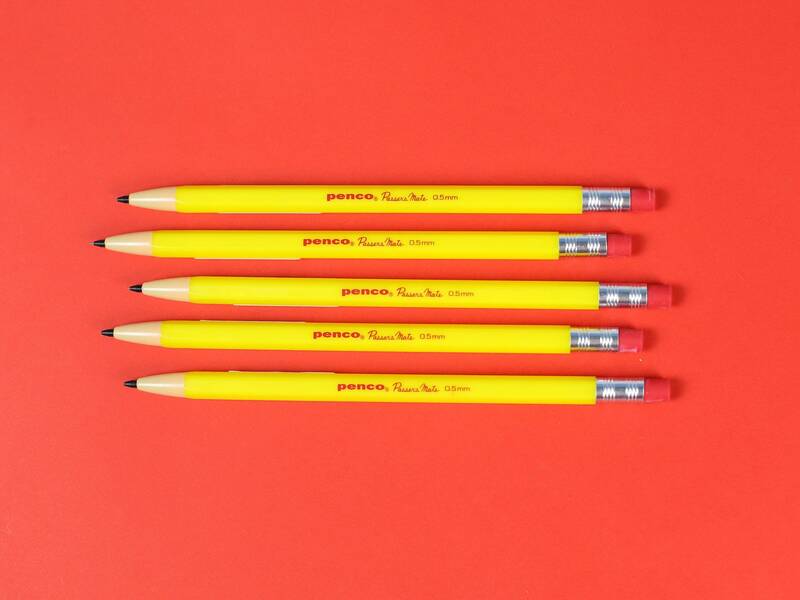 Each pencil comes complete with its own bright red eraser on the end, and can be refilled by removing this to access the compartment inside. 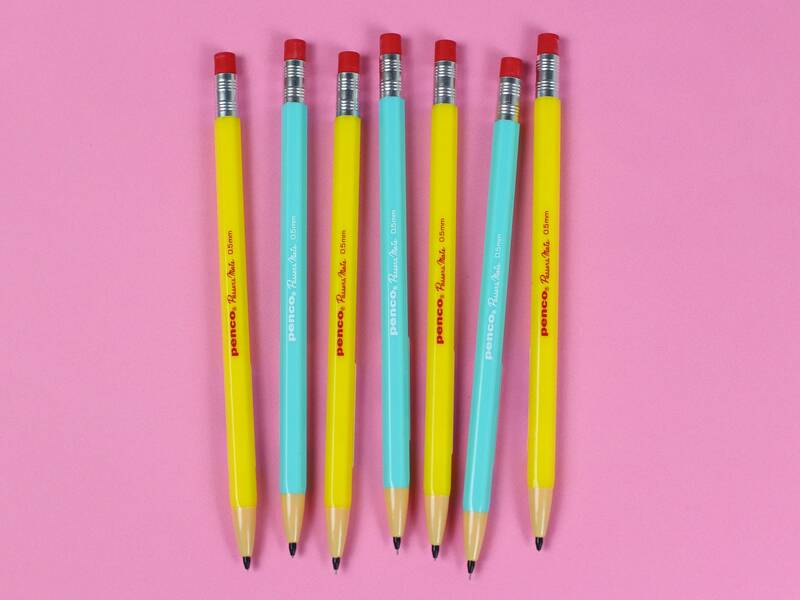 Choose from sunny Yellow or Mint at checkout. 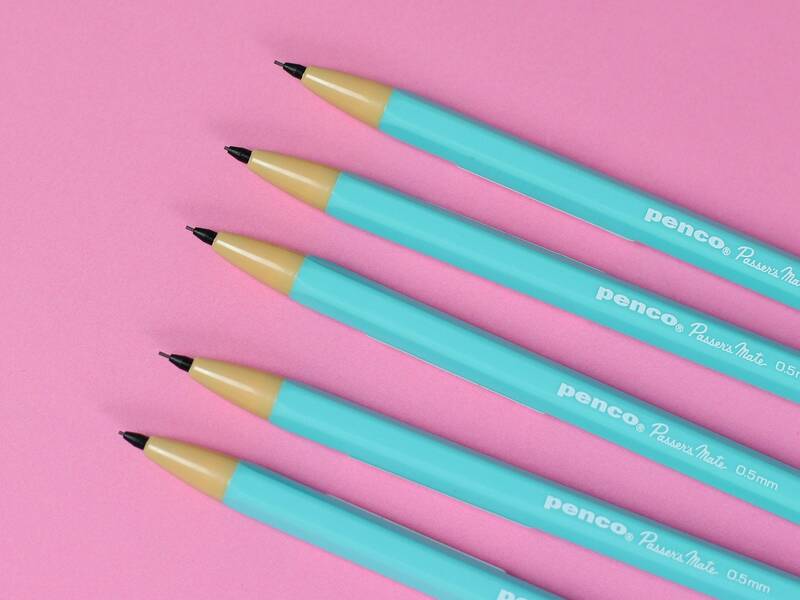 This listing is for one pencil.